If an accident has caused your tooth to become separated from your mouth, you have what is known as an avulsed tooth, or knocked out tooth. What is a knocked out tooth? A knocked out tooth, also known as an avulsed tooth, is one that has become separated from the jawbone. Teeth typically become knocked out as a result of an accident. Sports accidents, or simply tripping and falling, are common causes of dental injury leading to knocked out teeth. 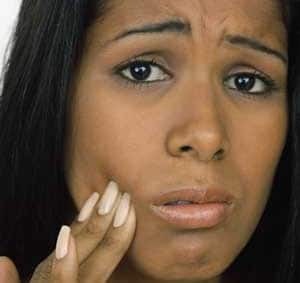 What are the symptoms and risks of having a knocked out tooth? If your tooth is knocked out, you will likely experience pain. You may also experience gum sensitivity as food becomes trapped in the spot where the tooth used to be. If the tooth is not replaced, there is a risk that the adjacent teeth will shift. Please save the tooth in a glass of milk and see a dentist as soon as possible. Until you are able to see the dentist, you should bite down onto a wet tea bag or a piece of gauze, and avoid chewing on the affected side. If you are in pain, you can also take an anti-inflammatory such as Advil, unless you are allergic. If at all possible, the dentist will attempt to put the original tooth back in. However, please note that the original tooth will be significantly weakened, and will likely require a root canal and constant monitoring. If the original tooth cannot be put back in, the dentist will suggest options for replacing the missing tooth, both in the short term and in the long term. Do you have a knocked out tooth?